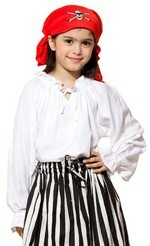 This white pirate blouse has elastic in the ruffled neck so it can be worn two ways. String ties close at neck, and the cuffs are also elasticized for easy on and off. Rich, soft rayon viscose fabric. 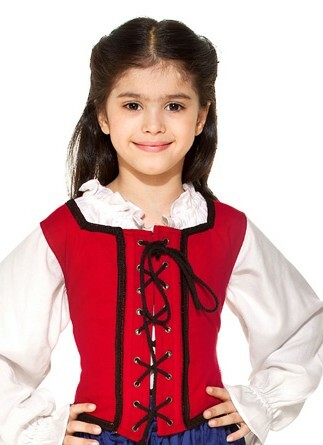 Wear with our reversible bodice and one of our skirts for a great Renaissance or pirate look. 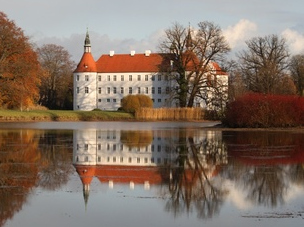 You mght also like . . . Height 46" 50" 55" 60" 65"
Waist 20" 22" 23" 24" 26"
Hips 25" 27" 29" 32" 36"